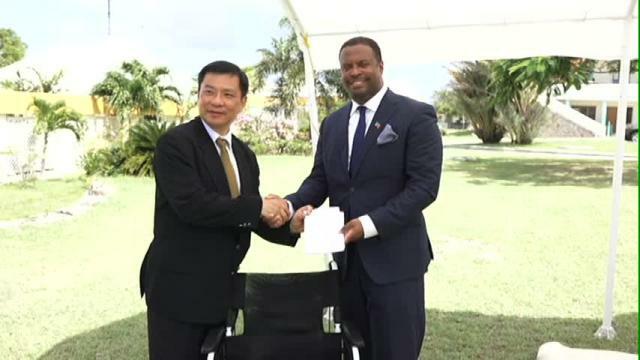 CHARLESTOWN NEVIS (September 22, 2015) — The Republic of China/Taiwan has demonstrated its understanding of technology in enhancing services by presenting a much needed Information System and wheel chairs to the Nevis Island Administration (NIA) for use at the Alexandra Hospital. 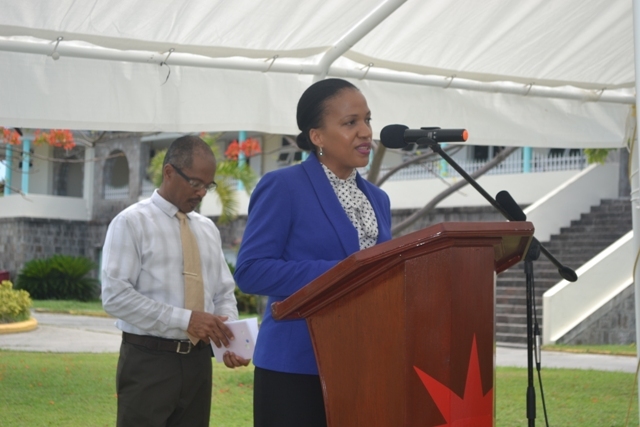 The handing over ceremony was held on the Alexandra Hospital grounds on September 18, 2015. Resident Ambassador of the Republic of China/Taiwan, His Excellency Chiou Gow-Wei made the presentation to Deputy Premier of Nevis and Minister of Health Hon. Mark Brantley. In brief remarks Mr. Brantley expressed appreciation for the donation which he said was in keeping with the current trend in information dissemination. 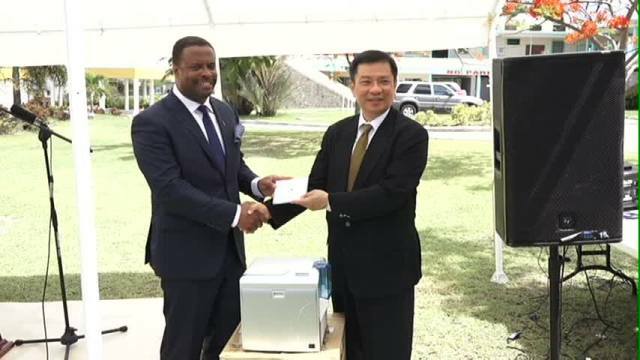 He revealed, that the government of Taiwan and the people of Nevis continued to enjoy 32 years of co-operation and the donation coincided with free medical work currently being offered in medical care at the Alexandra Hospital. The Health Minister envisaged electronically available information in all of the health centres in Nevis in the near future. He thanked the Government of China/Taiwan for investing in the project. He also spoke of other collaborative efforts between the Taiwanese Government and the people of Nevis through training of students and the development of the island’s infra-structure. Permanent Secretary of Health Nicole Slack-Liburd, in her presentation, commented that Information Systems will not only strengthen the Alexandra Hospital’s capacity to disseminate strategic information but would beneficial in the reduction of operation cost. She said as a result of the barrier-free movement of care recipient data, records will be accessed electronically through the use of medical identification cards and would improve the efficiency of the Ministry. Also present at the handing over ceremony were Junior Minister in the Nevis Island Administration, Mrs. Hazel Brandy-Williams and the Permanent Secretary in Social Development, Mr. Keith Glasgow. Hospital Administrator Gary Pemberton served as chairperson for the ceremony.